In the simplest case, we are given a set of points S in the plane, which are the Voronoi sites. 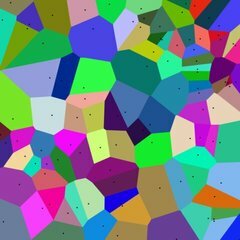 Each site s has a Voronoi cell, also called a Dirichlet cell, V(s) consisting of all points closer to s than to any other site. The segments of the Voronoi diagram are all the points in the plane that are equidistant to the two nearest sites. The Voronoi nodes are the points equidistant to three (or more) sites. 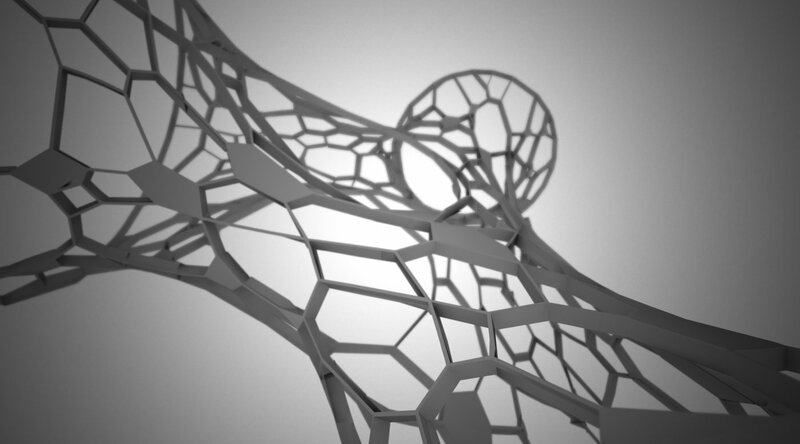 Here is an example of a Voronoi extruded into a 3D structure using GrassHopper. What other kinds of methods can be extrapolated from something conventionally 2-dimensional into something 3D and structurally sound?